I am looking forward to growing in understanding and wisdom of God’s Word, and growing in my faith! I am participating in a ladie’s Bible study at my church. We are in the third week of Beth’s James study. I have done many studies through the years (Beth’s and others), but this is speaking to my heart in ways I’ve rarely experienced. It has been a very hard year for my family and James is speaking directly to me through this study. I look forward to memorizing as much of the book of James as I can. God is using His Word to heal my heart and transform my mind through a very difficult time. Wednesday Night Bible Study–group of current and retired teachers meeting right after school for about 5 or 6 years now. We are doing Kelly Minter’s NEHEMIAH because none of us really knew anything about Nehemiah. Thursday evening study with a friend at her church. We are doing Beth Moore’s JESUS THE ONE AND ONLY for the wonderful fellowship, lively discussions, and the acquisition of knowledge about our Savior. Tuesday nights with Beth doing 1 & 2 Thessalonians CHILDREN OF THE DAY. I just can’t miss out on a chance to listen to Beth in person and to get into a book I don’t know much about. And, of course, the SIESTA SCRIPTURE MEMORY TEAM because it’s fun. Right now we have started a women’s accountability group that meets Tuesday mornings in different homes. We have around 12 women right now. Each one of us have the Jesus Calling daily devotional and a bible reading plan for the week. We come together and pray, I ask each sister to share how their bible reading is going, and what God has shown them in their quiet time. After we go around the room we then ask how our “take two” bible reading plan is going (We choose 2 chapters from 3 different books in the bible to read each week) and share what we learned from that. If we are short on time we share a verse or two that really stood out. We share any “God things” that happened throughout the week and then we pray for each other. Blessings to you all in your studies!! May God use each one of these groups for His glory! After participating in Siestaville’s study of Nehemiah last summer I am looking forward to co-leading our ” small group” of ladies at church thru it. It will be exciting to watch these women grow in their confidence! Our ladies group just finished up James, & we all loved it. What I most would look forward to, besides my family, I would give anything to be in that Tuesday night bible study. You ladies are so blessed to be there. Which if I can’t have the best thing, I am anticipating when the study comes out. Beth Moore can not produce them out fast enough in my book. Praying for the Beth Moore team & daily lives, thank you & bless you all for sharing your gifts with us. I am looking forward to learning how to defend my faith as this has always been a sticking point for me in sharing my faith. I am using the bible verse from 1 Peter 3:15 HCSB for my scripture memory verse. Leading a group of ladies through Knowing God by Name by Mary Kassian. Study of 35 Hebrew names of God. Also leading high school girls through So Long Insecurity. Hoping they achieve freedom at a much earlier age than I did from something that had me chained. Looking forward to growing in a deeper relationship with God…whatever He has for me! Please pray for me. This Wed. I start an intensive leadership training for Surrender the Secret. Surrender the Secret is a study that in the name of Jesus, frees women from the shame of abortion. My heart’s desire is to dispel the lies of the enemy that surely abortion is too great to be forgiven, and help reveal (as best as we can understand) how long, how wide, how deep and how high His love truly is for us. It’s mindblowing. This the world needs to know. I just started A Heart Like His by the one and only, greatest teacher in the world, Beth Moore. It’s the second time I’ve done it. I’m excited to see my growth as I look over the answers to the questions from years ago. The first videos were on VHS. I still have them. Loved the hair! Everything is bigger in Texas!! 🙂 Love you, Beth!! I have never done. Lisa Harper study so I am looking forward to a new perspective and hope that I have ears to hear and eyes to see that I may grow ever closer to my Lord! My daughter and I are both super excited about growing and learning on Tuesday night at Beth’s Children of the Day! All through college she and some friends worked through Beth Moore studies and she has eagerly anticipated being back in Houston to attend in person! Today, she went back thru all those studies, labeling them semester by semester, finding the lessons that were missed during busy times and making a schedule to go back and finish them! Sorry, got sidetracked! I’m also doing a study with my community group from Bayou City Fellowship entitled “Feast: Finding Your Place at the Table of Tradition”. A Bible study, by Derek Lehman, that “focuses on the major feasts of the Jewish calendar and the celebratory design of God’s plan. Integrating Jewish and Christian perspectives, this study addresses the present-day church culture that is driven by work and less on celebration.” We are going to weave some of the traditional items and foods into our dinners at community group to make the lessons more visual and relatable. I love history and I think it will be really interesting and stimulating to do something a little different! I am studying The FEAR Of The LORD by John Bevere and am looking forward to discovering the key to intimately knowing God. Doing ‘Breaking Free’ with 21 other women. Looking forward to – grabbing a hold of Jesus and getting some healing! P.S. Finishing ‘David’ on my own. Bible Study: I am leading a study by Beth, Breaking Free, the Journey. We are going to do some memorizing in the RPV (Revised Personalized Version). We revisited Believing God for our fall session (did it originally 6 years ago) & I thought it was a good lead into Breaking Free. My husband, 2 daughters and I are studying Revelation together with Pastor David Platt, from Alabama, via the internet with Podcast teachings. I love seeing my teen girls learn so much and our family discussions. I’m personally working through the Multiply challenge/study of discipling another, to Christ, here in our little country. What I am most looking forward to? He promised me to be my teacher and has been, utterly amazed and sobered at what He has shown me so far, and praying that I have eyes and ears and heart and mind open to Him because I don’t want to miss anything. p.s. He is an amazing teacher. Looking forward to: A great refresher on the Patriarchs! Looking forward to the Lord building some great relationships with the women in my group. P.S. 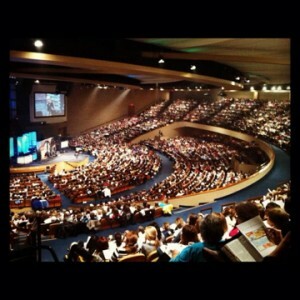 I used to live in Houston and how I miss Tues. Bible Study- women in Houston, soak in all that the Lord is doing there! I am involved in “Why Do You Believe That?” by Mary Jo Sharp. I am most looking forward to not just KNOWING that I KNOW whom I believe but also KNOWING how to share that KNOWING with others. Two Bible studies – one online and one at a local church. “Let. It. Go.” by Karen Ehman (Melissa Taylor’s Online Bible Studies) and “A Woman’s Heart: God’s Dwelling Place” by Beth Moore. One more night in Deuteronomy (with Beth Moore), then onto ‘Why Do You Believe That?’ by Mary Jo Sharp. A trip into apologetics to build confidence in having faith conversations with others. Excited!! Our Tuesday night group has just started Kelly Minter’s Nehemiah. I am already convicted about how intentional our prayer life must be! I look forward to learning more about this man of God. “Scenic bus tour” of Deuteronomy with The Law of Love a Beth Moore lecture study led by Anita McGinnis at RBC in Chattanooga on Wednesday nights. I’m expecting ‘immeasurably more’, to see God do what’s unreasonable so I KNOW it’s Him in this year if my RELEASE. Especially looking forward to her daughter, Melissa’s articles. Week 3 of our meeting, but only the second for the study, hurry up Wednesday. I start this study Tuesday morning and I am so excited to refocus from all the day to day craziness, a never ending to do lists, errands, etc and really get back to focusing on a simple life with Jesus! I am studying Genesis with BSF. The life of Abraham is a wonderful example for us to follow and best of all, God’s attributes shine as we follow the story. Faith is my word for the year. So I look forward to watching my faith grow in areas where I have held back before. Bible Study: I am leading a class of Financial Peace University. What are you most looking forward to? Getting my finances under God’s control and helping others do the same. Christy from Hahira, GA… will start Lisa Harper’s Malachi in February. I am excited to see what a new author will lead us to discover. Looking forward to learning how I can apply to my own life what I have learned from Joahua. Also building strong relationships with my dear sisters in Christ. I am going through Kelly Minter’s No Other Gods study. I am most looking forward to growth that comes from digging out those deep roots of sin that sometimes I don’t even realize are there until God reveals them to me and refines me to make me more like Christ. Bible Study: James: Mercy Triumphs by Beth Moore – We started last week with about 40 ladies from my church. I will confess that avoided this study for a solid year! To be honest, I knew what James would require just simply by studying the book. I knew that it would call me to make sure there is no gap between my faith and the reality of it in my life. I knew that I would be challenged and upended! But I also knew the logistics of this study! I knew there was a Level 5 and that God was not going to let me get by with anything less. (That’s just for me! No condemnation if He’s calling you to a lower level!!) But finally, it was time to face the fear of that and jump in the glorious waters!! I’ve had such a great time in James this week! !God’s Word has been, as always, lifechanging, as I’ve dared to look intently at it. The first week of homework has been speaking directly into my current family relationships. Melissa, your contribution in research and the extra material is so challenging and I love it!! And a week and a half into it, God has somehow allowed me to memorize the first 15 verses of Chapter 1, making this study come alive to me even more!! His Word is so wonderful!! Oh, what I would give to live closer to you girls so I could join you!! God bless!! Week of Jonah with Priscilla. The intervention he puts in my interruptions. WooHoo, I am blessed to spend Monday nights with 10 other women listening to Beth in ‘Believing God’. I’m looking forward to how God uses His word in me. I’m leading a study that Beth Moore wrote years ago called A Woman’s Heart. We will be meeting on Wednesday nights at Midway Methodist church. This is the 6th Beth Moore study that I am leading, but have never done this one. I’m looking forward to how she really gets us in the Word every day. And that gets me closer to our Lord and Savior Jesus Christ. Two of my girlfriends and I have just started reading “The Power of Praying for Your Adult Children” by Stormie Omartian. We are going to take a chapter a week, and slowly make our way through it. I am most excited to see how God is going to draw us closer to Him and watch was He does in our kids’ lives. Our Bible Study (4 couples) did this study last year. It was amazing to see God answer so many prayers for our kids. Great study for couples, it helped work through relationships that needed mending. Our faith grew and we could believe God for big answers!! North Port, Florida Week two of James with a beloved group of sisters who long to know Him more deeply. We are considering it all joy to have this freedom . Believe it or not – I am finally able to do a Beth Moore Bible Study. I am doing the James Mercy Triumphs. I am excited to get deeper in the Word. I also will be delving into Ephesians in a couple of weeks. Awesome times! Excited to see how God will be calling us to action. We too often get comfortable and forget to look in our own backyards to see what we can do to help the needy. I have really enjoyed being real with the women if my Bible Study in Brave and am looking forward to hear what God has to say about our role as women. Anointed, Transformed, Redeemed: A Study of David. From Deeper Still with Priscilla Shirer, Beth Moore and Kay Arthur. And also The Law of Love; Lessons from the pages of Deuteronomy; Beth Moore. Day 2 of the Law of Love was a gift from God. Yes, I was a 10. Praise the Lord for all He revealed through Beth. I cannot recommend it enough! Thursday Nights we are studying a “Deeper Still” event study called…. “Faithful, Abundant and True” featuring Kay, Priscilla, and Beth! We are asking each woman to go “Deeper Still” with our Lord each week through this study! Huge Thank you, Lifeway, for pulling these three wonderful women together to teach us! Finishing up Conversation Peace by Mary Kassian. Planning my Spring study schedule….